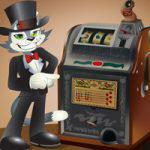 Cool Cat casino is always bringing new games to its customers. They strive to offer the latest and most entertaining games around. Hairway to Heaven is yet another example of this. 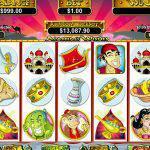 Hairway to Heaven slot is a new slot form the Real Time Gaming. They are one of the leaders in the online gaming community and come up with some of the most creative games around. What first struck my eye with this slot were the graphics. As soon as it loaded the game sparkled with clean and crisp colors. It wasn’t too overwhelming, but it had just enough flare to keep me attentive. As with anything we look to buy or use, a first impression is the most important and can be a deciding factor in what we choose to play. However, once I got past the glitter and glamour of the game, I wanted to know if it was just another piece of eye candy lacking the interior gaming power that I really desire, or was this real deal. I must admit that the game looked a little on the feminine side and didn’t exactly stimulate my manly hormones. 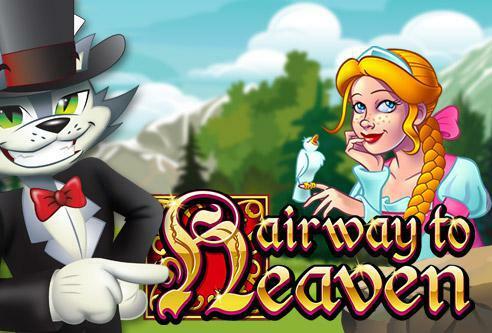 Seeing a fair maiden with long locks and a resemblance of a fairy tale story isn’t exactly what a guy looks for in a slot machine. We want machine guns, and possibly a fair maiden in the middle. 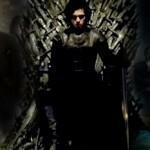 But, she gets captured and we come to her rescue. The first thing you will notice is the 50 paylines that you can play. That’s right, 50! A total of 50 paylines on its 5 reels can be played for as much as $100 per line. That’s pretty manly right? Well, is that didn’t get your juices flowing, the free spins you can win during the bonus rounds should. 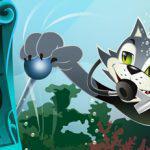 There are a total of 3 bonus games that can be won by hitting special scatter or wild symbols. 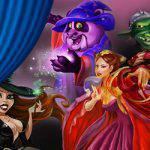 In these bonus rounds you can win up to 20 free spins where each win will be multiplied. For those who lack luck and can’t seem to ever that bonus round, Hairway to Heaven slot features a feature guarantee. This means that regardless of how unlucky you may be, you will always make it to a bonus round. If, after 125 spins you don’t trigger a bonus round, you will automatically be able to play one of these games for a chance to win free spins and win multipliers. To top it off, Hairway to Heaven has two progressive jackpots, a major and a minor. The major starts at $1,000 and the minor at $250. The major is a little tougher to hit but still hits with relative frequency. The minor however, will hit much more often and is a great way to add a little extra cash to your bankroll. 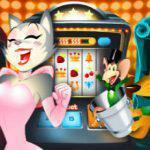 There’s plenty to like with this new slot and it’s sure to be a hit in the years to come. I highly recommend playing this game as it will keep you entertained for countless hours. Not to mention fill your pockets with some extra cash. Overall you can see this is quite an interesting game, we invite you to give it a try and share your thoughts about it with us right here!